Vashmalle, the first song from Yash Raj Films’ highly anticipated film, Thugs of Hindostan, just dropped. From the looks of things, this song is just as exciting as the trailer. One of the most exciting movies releasing next year, this particular film has a lot of things going for it, a factor made all the more enticing with this song. From the script to the cast, everything about this movie is keeping people gripped to the edge of their seat with bated breaths. The just dropped song, titled Vashmalle, has been sung by the highly talented singer duo of Ajay and Atul, with lyrics given by Amitabh Bhattacharya and choreography by the brilliant dancer, Prabhudeva! While the song is foot tapping, what makes it all the more special is the fact it sees Amitabh Bachchan and Aamir Khan come together on the silver screen for the first time ever! Listen to the song here and NOW. With a setting surrounding the theme of friendship and camaraderie, the song is a true joy fest through and through. Quite like the trailer, the first song reminds one of the intense fight scenes between Jack Sparrow and Captain Barbossa from the film Pirates of the Caribbean! 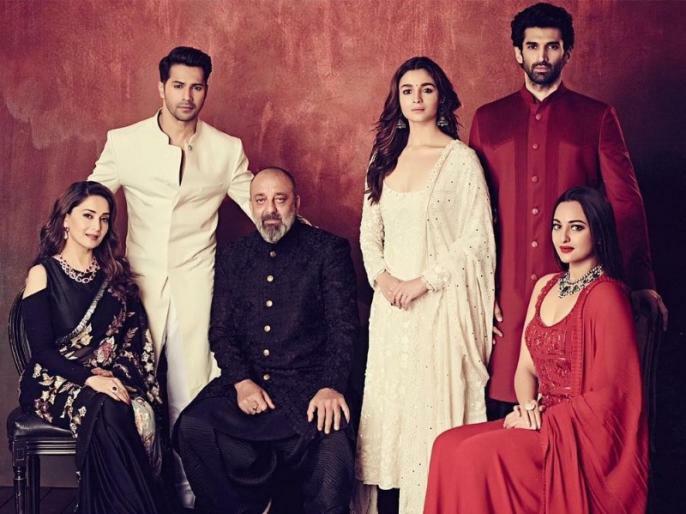 This particular Yash Raj Films production has an impressive cast to its name. Apart from Aamir Khan and Amitabh Bachchan, Thugs of Hindostan also stars Katrina Kaif and Fatima Sana Sheikh in pivotal roles. “It is amazing that we could write a suitable moment in the film that sees these two icons of Indian cinema shake a leg with each other and the song will stand out because of their infectious energy and camaraderie. The song presents Mr. Bachchan and Aamir Khan in the mood to celebrate. I have to reveal that the sequence will show them getting drunk during the celebrations and then breaking out to dance on this high energy number. It is a priceless moment that we have captured in Thugs of Hindostan,” director Vijay Krishna Acharya said while talking about the film previously. Thugs of Hindostan is scheduled to hit the screens sometime next year, so stay tuned for the release date!